It’s such an uplifting experience. Since joining Love Soul Choir I have felt so welcomed into what feels like such a warm, family environment. Everyone has been so lovely and I have been able to make some really good friends. Singing in the choir each week and being part of what feels like something very special has had such a positive effect on my well-being. Being part of a team and hearing all the harmonies come together is such an uplifting experience. 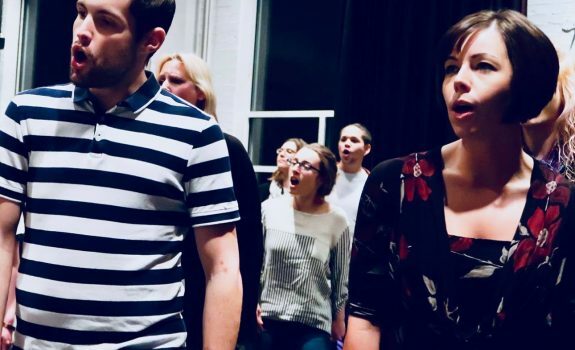 The Love Soul social just before Christmas was a great event allowing members of the Choir from both Southampton and Bournemouth to get together in a relaxed and laid-back environment. It was a lovely opportunity to socialise over an evening where members had laid on such a fun night involving a DJ, Karaoke, and lovely food and drink. It was also so nice to be able to meet and chat with various different choir members I had not previously had the chance to speak with before and to bond over karaoke singing and dancing the night away to some dance-floor classics.